London (AFP) - Team Sky have secured the backing of Britain's richest man and will begin racing as Team Ineos as they seek to maintain their dominance of cycling, it was announced on Tuesday. The British outfit had been seeking new funding after broadcasting giant Sky announced in December it would end its ownership and sponsorship at the end of 2019. "Sky and 21st Century Fox have agreed the sale of Team Sky to Ineos," said a statement from Team Sky, adding that the chemicals giant would continue to fund the current team in full, honouring all existing commitments to riders, staff and partners. 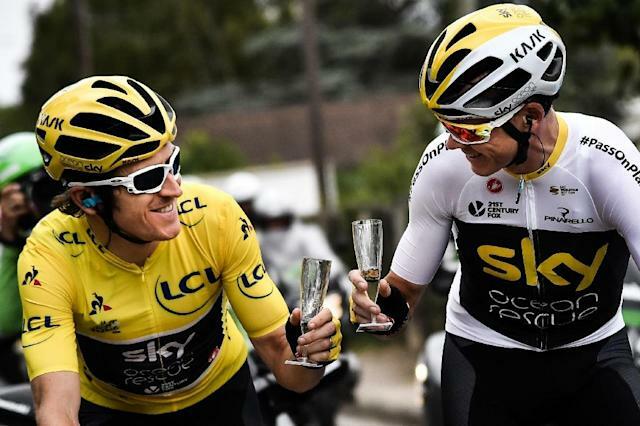 Four-time Tour de France winner Chris Froome and current Tour de France champion Geraint Thomas both welcomed the announcement that enables the group of elite riders to stay together. "So excited that we as riders and staff will be able to continue on together for 2020 and beyond," tweeted Froome. Thomas tweeted: "Super happy that the team can continue and stay together!! Thank you to Sky, hello to Ineos." Ineos founder Ratcliffe, 66, with an estimated fortune of £21 billion ($28 billion), said Ineos was delighted to take on the "responsibility of running such a professional team". The launch of Team Ineos will take place at the Tour de Yorkshire, which starts on May 2. Team principal Dave Brailsford hailed the announcement, saying it ended uncertainty and was a "huge vote of confidence in our future". 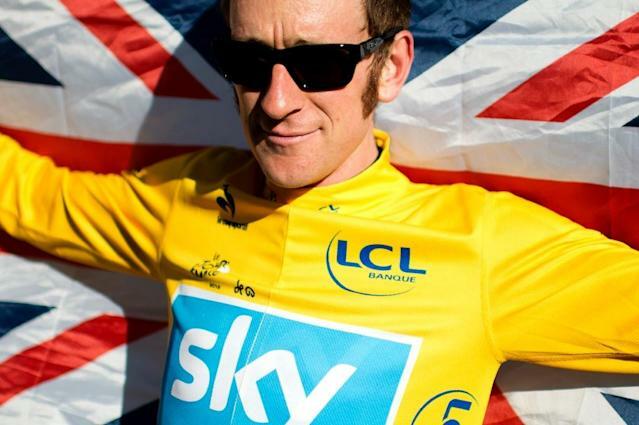 Bradley Wiggins, then of Team Sky, became Britain's first Tour de France champion in 2012 before Froome won four Tour de France titles and Thomas became Sky's third winner of cycling's landmark event last year. 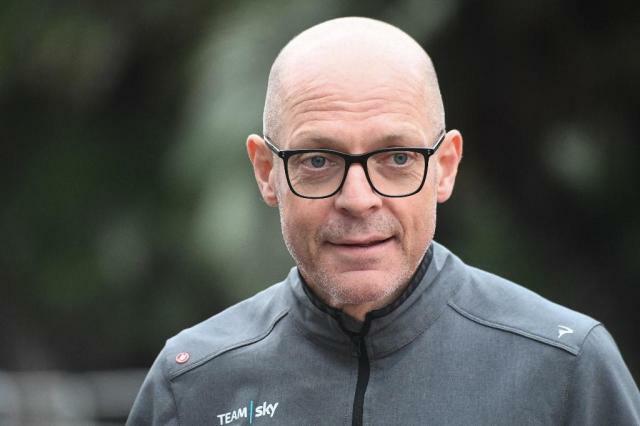 Deep-pocketed Sky are known for Brailsford's meticulous and innovative application of 'marginal gains', the theory that many small advantages in areas as diverse as wind resistance, diet and sleep quality can add up to a significant improvement in performance. However, Sky's image was clouded in the controversy over so-called therapeutic use exemptions, after a damning British parliamentary report said the team crossed an "ethical line" by using the loophole to administer drugs to enhance performance. The Commons digital, culture, media and sport committee report said MPs believed that triamcinolone, used to treat asthma, "was being used to prepare Wiggins, and possibly other riders supporting him, for the Tour de France". Sky were also in the crosshairs for a suspected anti-doping violation over a mystery package reportedly destined for Wiggins in 2011, although a UK Anti-Doping investigation concluded with no charges brought. Sky were then caught in a long-running doping controversy that began when Froome returned an adverse doping test, for elevated levels of the asthma medication salbutamol, on his way to victory in the Vuelta a Espana in 2017. He was cleared 10 months later. Team Sky also have plenty of detractors within cycling for tactics that many believe stifle racing. Their superior budget has allowed them to employ riders who would be leaders elsewhere in a support capacity and effectively shut down attacks in the biggest races, something that has proved unpopular with many, particularly in the Tour de France. Sky began its involvement with the sport in 2008, when it successfully teamed up with British Cycling to increase participation and support the country's elite riders, who became a major force at world events including the Olympic Games. Ratcliffe, who has reportedly shifted his fortune to Monaco for tax reasons, has already invested in Swiss football club FC Lausanne and ploughed £110 million into British sailor Ben Ainslie's Americas Cup team. Media reports this week said Ratcliffe was mulling a potential takeover of Premier League football club Chelsea, owned by Russian tycoon Roman Abramovich.